Kick through the wall to enter Garmadon's Volcano Lair with Zane! 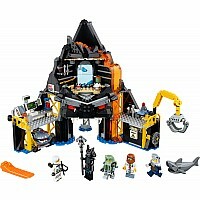 Discover the computer lab and construction zone where his shark mechs are built. 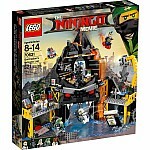 Dodge the shell drone and the snapping jaws of the shark being lifted by the crane. Take cover as Garmadon fires General 1 from the tip of the volcano. 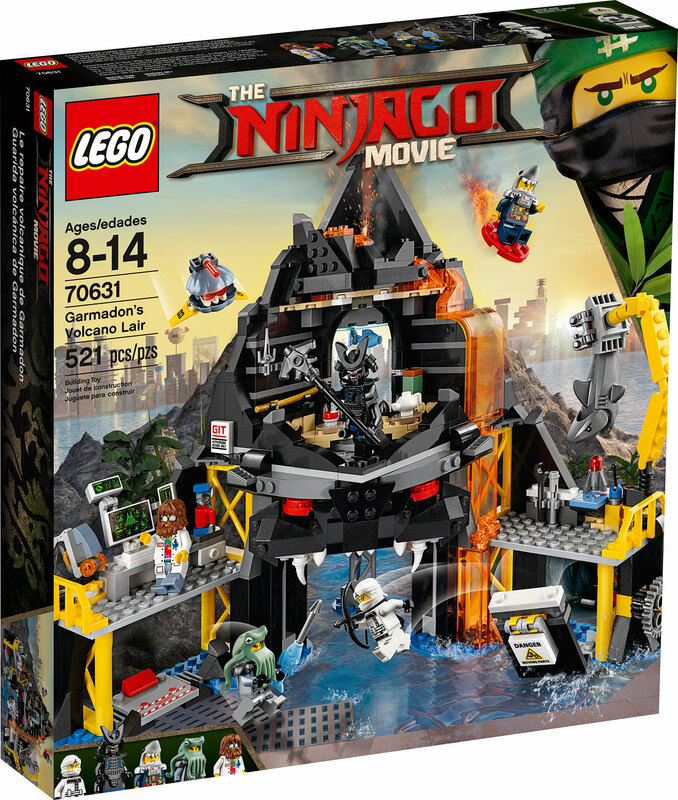 Then use all your ninja skills to overpower Garmadon and his shark soldiers, and take control of the base! 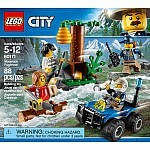 Includes 5 minifigures: Garmadon, Zane, General #1, Steve and Four Eyes, plus a shark figure. 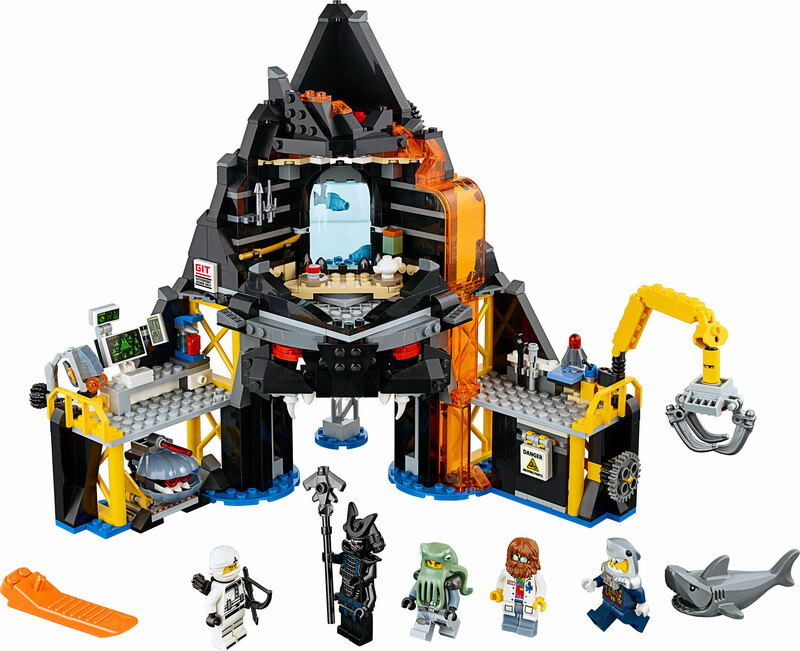 Garmadon's Volcano Lair features an entrance shaped like Garmadon's face, minifigure-launch function at the tip of the volcano, Garmadon's throne room, computer lab, construction zone, drone launchpad, translucent-orange lava elements and blue water-style baseplates. 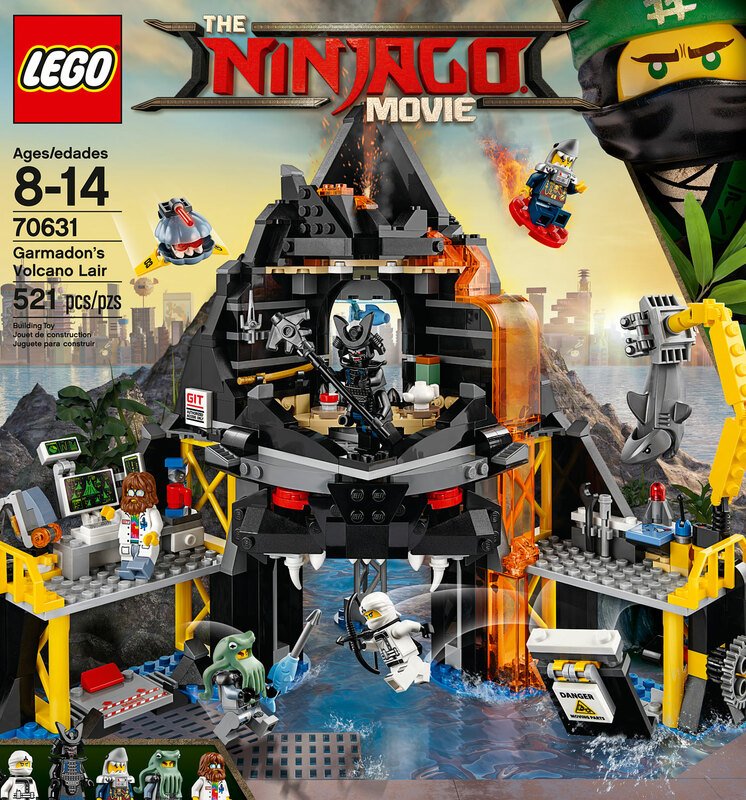 Garmadon's throne room features a big seat, teapot and pot elements, fish tank with 2 fish elements and a weapon rack with arrow and sai weapons. Use the fish elements to create a buildable shark army weapon. Computer lab features a computer keyboard and screen elements, mini piranha mech prototype and a coffee machine with cup element. Construction zone features a rotating crane to lift the shark figure, a wheel-operated exploding wall function and a flick missile. 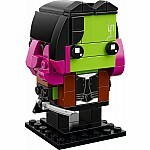 Also includes a drone launchpad and shell drone with foldout wings. Evade the shark's snapping jaws. 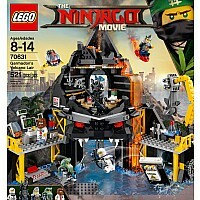 Weapons include Garmadon's staff and katana, Zane's bow and arrow, General #1's fish sai and Four Eyes' fish spear. 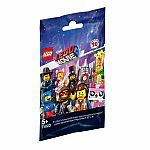 General #1, Steve and Four Eyes minifigures are all new for December 2017. Measures over 10" (26cm) high, 12" (31cm) wide and 6" (16cm) deep. 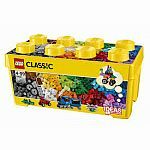 Measures approximately: 13.94 x 14.88 x 2.78 inches..